A former Conservative cabinet minister has said that Saudi Arabia faces “certain defeat” and humiliation in Yemen and has called on Theresa May to use the upcoming visit of Crown Prince Mohammed bin Salman to pressure the kingdom to halt its bombardment of the country. The visit by the powerful Saudi crown prince to London next month, during which he will meet senior royals and the prime minister, Theresa May, is set to highlight the UK’s close relationship with Saudi Arabia and its conduct in the three-year Yemen civil war. “We are supporting of bin Salman’s domestic agenda, which is really significant and vital for Saudi Arabia’s future, but we would be failing in our duty as a candid friend and close ally if we didn’t spell out our very clear concerns over Saudi policy in Yemen,” Mitchell said. He added that ministers must take a firm line with the crown prince over Yemen to steer him away from a “failed policy that has brought misery and heartache” to Yemen. His comments come after shadow foreign secretary Emily Thornberry demanded that May stops “bowing and scraping” to the crown prince and halts the sale of weapons to Saudi Arabia. Mitchell does not support an arms embargo and says Riyadh has legitimate self-defence concerns, but his intervention will again put the focus on the UK’s increasingly close defence relationship with Saudi Arabia, where bin Salman is driving a modernisation and reform project, known as Vision 2030, to wean the kingdom off its dependence on oil. The comments by Mitchell also come as the UK has drafted a UN Security Council resolution condemning Iran for violating the arms embargo on Yemen. The UK move will likely be welcomed in Riyadh, but has prompted allegations from Mitchell that the UK, which has licensed the export of more than $6.4bn of arms to Saudi Arabia since 2015, is not being “even handed”. The proposed UN resolution is in response to a report by a UN panel of experts which found that missiles fired by Yemen’s Houthi rebels at Saudi Arabia last year were made in Iran. He added that the UK must be “even handed” and work towards the goal of negotiations without conditions to end the conflict. The British government insists it is pressing Saudi Arabia to boost the flow of humanitarian aid to Yemen, and is lobbying for a peaceful solution to the conflict, which has allowed militant groups, including al-Qaeda and Islamic State, to flourish in the chaos of war. The British foreign secretary, Boris Johnson, called out Iran on Monday for supplying military equipment to force in Yemen, in breach of a UN arms embargo. “I call on Iran to cease activity which risks escalating the conflict and to support a political solution to the conflict in Yemen,” he said. The UN report found that all sides in the Yemen conflict have committed violations of international humanitarian law, including Saudi-led air strikes on civilian targets as well as the “indiscriminate use of explosive ordinance” by Houthi forces. The report lists 10 incidents in which Saudi-led coalition air strikes killed 157 civilians, including at least 85 children. The strikes targeted residential building, factories and civilian vessels, prompting the UN experts to find that Saudi-led forces had failed to adhere to “principles of international law of proportionality and precautions in attack”. It also describes measures taken to minimise child casualties by Saudi-led forces as “largely ineffective”, in comments that are likely to prove embarrassing to officials in Westminster who have defended Saudi Arabia’s targeting process, and the continued sale of UK-made weapons. 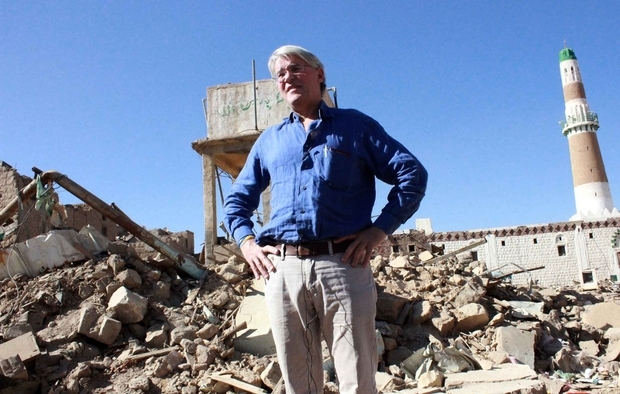 Andrew Smith, the spokesman for Campaign Against Arms Trade, or CAAT, said the Saudi-led bombing campaign has created one of the “worst humanitarian crises in the world”. “Thousands of people have been killed and vital infrastructure has been destroyed all across Yemen,” he said. In one case, the report’s authors found evidence that UK-made Paveway IV bombs were used in a series of strikes on an industrial complex in September 2016. The report found that while there were no civilian casualties, the strikes did not comply with international humanitarian law. “There is insufficient evidence to demonstrate that the factory complex had become a legitimate military objective or that the Saudi Arabia-led coalition complied with IHL principles,” the report found. Arms control experts say this is the first example of UK weapons being so directly linked to alleged breaches of international law by UN experts. Oliver Feeley-Sprague, Amnesty International UK’s arms control director, told MEE: “There have already been a series of cases in Yemen where UK weaponry – including cluster munitions – sold to the Saudi Arabia-led coalition has been used in breach of international humanitarian law, but the UN report is a significant reminder to the UK government that its reckless arming of the coalition is not going unnoticed.